The summer of 2010 marked the one-year anniversary of the fire that devastated Athens' landmark Georgia Theatre. A loan has been secured to begin rebuilding efforts, but almost $200,000 is still needed to complete the project. 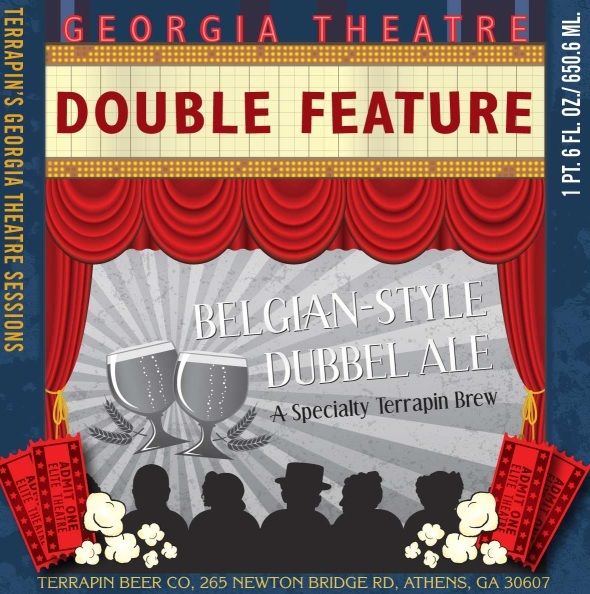 The local Terrapin Beer Company continues to play a major role in fundraising for the famed music venue with their line of Georgia Theatre Sessions. As the labels state, these beers form "a chart-topping series of brews to bring back the Georgia Theater," and a portion of the sales of these four very limited edition beers goes to the Georgia Trust for Historic Preservation fund to rebuild the Georgia Theatre. Brian "Spike" Buckowski, Terrapin co-owner/brewer (and music fanatic), claims that producing a special series of flavorful beers seems the least he could do to bring back the Athens venue that has hosted shows such as The Police, David Allen Coe, Pylon, R.E.M., B-52s, Widespread Panic and B.B. King. "Helping to raise funds for an iconic landmark like the Georgia Theatre has been a rewarding experience, and brewing these four beers for a great cause makes it that much easier to put another quality Terrapin product in kegs and bottles," states Buckowski. Available only in the Georgia market, Terrapin's Georgia Theatre Sessions come packaged in single 22-ounce bottles housed inside attractive boxes with notes and artwork illustrating the history of the Theatre. "The label for each of the collectable 22-ounce bottles will represent different eras in the life of the historic landmark," explains Dustin Watts, V.P. of Sales at Terrapin. "We began with the creation of the building as the Athens YMCA, moved on to its time as a movie theater, and plan to highlight its recent stint as one of this town's most beloved music venues." The final label in the series will focus on the tragic fire. Last March saw the release of the first beer in the series. Iron Tankard old stock ale is named for the massive iron swimming pool located in the basement of the YMCA when the building was constructed in 1889. "Iron Tankard is heavy handed in the use of caramelized crystal malts for a full body and is lightly hopped," says Buckowski. This unfiltered, malt-forward beer exhibits aromas and flavors of dark dried fruit, mellow alcohol warmth and a sweet, caramely finish. This rich, strong ale should age extremely well in the bottle. Last June brought the second installment in the series -- Double Feature Belgian-style Dubbel ale. This dark brown brew offers deep raisin, plum and overripe cherry character balanced by sweet malt and light hints of cocoa and toffee. Inspired by hearty beers conceived in Trappist Abbeys in Belgium and the Netherlands, Double Feature comes across as a very port-like beer that pairs well with rich cheeses and desserts. September brings Sound Czech Pilsner -- a designation referring to the Georgia Theatre's notable days as a music mecca. Planned as a golden Czech-style pilsner, this selection of the series will provide refreshing, clean malt flavors and spicy, floral Czech hops for a slightly dry, pleasing finish. Just in time for Christmas, be sure the batteries are fresh in your "hop detectors" and stay vigilant for the grand finale in the Terrapin series -- Hoptaneous Combustion Imperial IPA. This extra-potent version of a super-hopped India pale ale promises a full-bodied malt profile to balance intense, citrus and pine-like hop aroma and flavor. In a delightful, Wonka-like stunt, each 22-ounce bottle in the series will be encased in a sealed box, and one box from each of the four releases will contain a "Golden Ticket" that serves as a lifetime pass to the renovated Georgia Theater. As of this writing, the first two Golden Tickets have yet to be claimed. Along with generating vital funds for the Georgia Theatre, Terrapin's Session beers have sparked major excitement and enthusiasm among beer lovers in the state and demonstrate Terrapin's dedication to the Athens community. "Plans for these beers really began the day of the fire," remarks John Cochran, Terrapin co-owner. "We immediately wanted to help in a way that only Terrapin could." "Athens is a small community, and we all stick together -- it's natural that we'd be here to help in the reconstruction of the Theatre," adds brewer Brian Buckowski. "Terrapin beers were first poured for the public in 2002 at the Athens Classic City Brew Fest, and there has been a strong connection to the city ever since. Our Georgia Theatre fundraising series offers excitement for local beer lovers and music lovers alike." With continued fundraising efforts from Terrapin and generous support of the music fans and beer drinkers of Athens, a reborn, revitalized Georgia Theatre now seems certain. In addition to purchasing the Terrapin benefit beers, interested persons are also encouraged to make online donations to the reconstruction fund at www.georgiatrust.org.